The reality of a village in Japan that decided (almost) everything has to be recycled, and where people started to look at trash differently - being mindful about the garbage each one (person/corporation) produces and nurturing the sense of caring for how we treat what we throw away. While the rest of the country has a recycling rate of around 20 percent, the village of Kamikatsu surpasses its neighbors with a staggering 80 percent. Could this work everywhere? How could entrepreneurs participate in this endeavor? With a strong focus on SDG Goal 12, Responsible Consumption and Production - "Ensure sustainable consumption and production patterns", Farmacy produces exquisite edible flowers & rare herbs blooming in the heart of Hong Kong all year-round and enabling same day farm-to-table produce for top level chefs and passionate foodies. ​Grand Opening 29 March | Fashion Walk Kingston, Causeway Bay, Hong Kong. 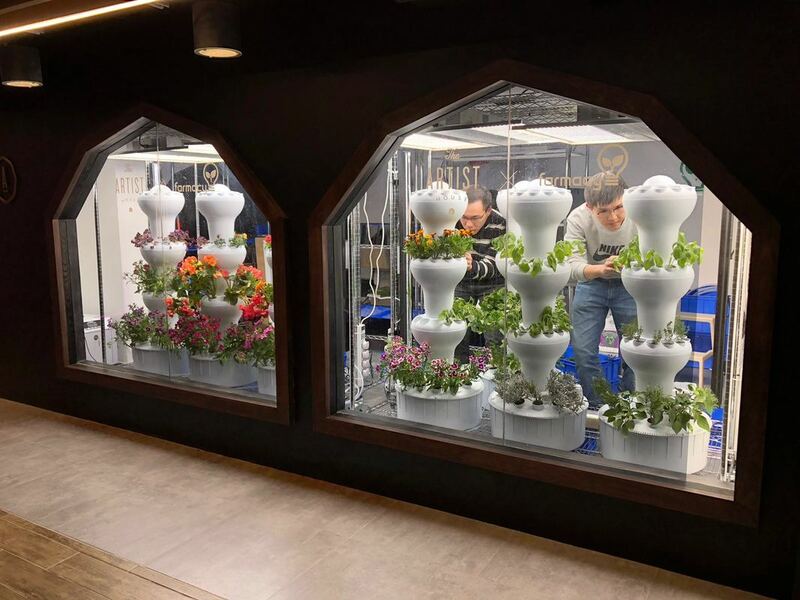 Congratulations to the Farmacy team Raymond Mak, Sanford Liu, Woody Chen & team) for launching this concept - looking forward to trying your edible flowers and rare herbs in a Hong Kong Based restaurant! Margaret Hamilton wasn't supposed to invent the modern concept of software and land men on the moon. It was 1960, not a time when women were encouraged to seek out high-powered technical work. When the Apollo space program came along, Hamilton Hamilton, a 24-year-old with an undergrad degree in mathematics stayed in the lab to lead an epic feat of engineering that would help change the future of what was humanly—and digitally—possible. Margaret Heafield Hamilton (born Heafield on August 17, 1936 is an American computer scientist, systems engineer, and business owner. She was Director of the Software Engineering Division of the MIT Instrumentation Laboratory, which developed on-board flight software for the Apollo space program. In 1986, she became the founder and CEO of Hamilton Technologies, Inc., in Cambridge, Massachusetts. The company was developed around the Universal Systems Language based on her paradigm of Development Before the Fact (DBTF) for systems and software design. Hamilton joined the Charles Stark Draper Laboratory at MIT, which at the time was working on the Apollo space mission. She eventually led a team credited with developing the software for Apollo and Skylab. Hamilton's team was responsible for developing in-flight software, which included algorithms designed by various senior scientists for the Apollo command module, lunar lander, and the subsequent Skylab. Another part of her team designed and developed the systems software which included the error detection and recovery software such as restarts and the Display Interface Routines (AKA the Priority Displays) which Hamilton designed and developed. She worked to gain hands-on experience during a time when computer science courses were uncommon and software engineering courses did not exist. Hamilton has published over 130 papers, proceedings, and reports about the 60 projects and six major programs in which she has been involved. Should countries take ownership and establish a framework for achieving the Goals? Implementation and success will rely on countries’ own sustainable development policies, plans and programmes - ​Countries are expected to take ownership and establish a national framework for achieving the 17 Goals and have the primary responsibility for follow-up and review, at the national, regional and global levels, with regard to the progress made in implementing the Goals and targets over the next 15 years. Actions at the national level to monitor progress will require quality, accessible and timely data collection and regional follow-up and review. Sustainable development has been defined as development that meets the needs of the present without compromising the ability of future generations to meet their own needs.Sustainable development calls for concerted efforts towards building an inclusive, sustainable and resilient future for people and planet. For sustainable development to be achieved, it is crucial to harmonize three core elements: economic growth, social inclusion and environmental protection. These elements are interconnected and all are crucial for the well-being of individuals and societies. Eradicating poverty in all its forms and dimensions is an indispensable requirement for sustainable development. To this end, there must be promotion of sustainable, inclusive and equitable economic growth, creating greater opportunities for all, reducing inequalities, raising basic standards of living, fostering equitable social development and inclusion, and promoting integrated and sustainable management of natural resources and ecosystems. 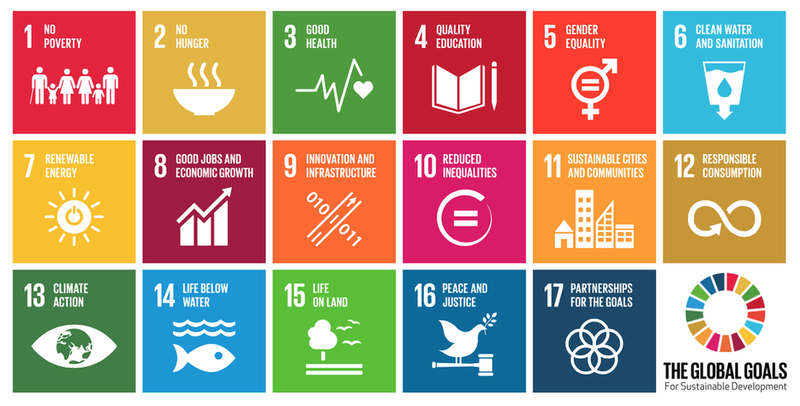 How will Sustainable Development Goals (SDGs) be monitored? At the global level, the 17 Sustainable Development Goals (SDGs) and 169 targets of the new agenda will be monitored and reviewed using a set of global indicators. The global indicator framework, developed by the Inter Agency and Expert Group on SDG Indicators (IAEA-SDGs), was adopted by the General Assembly on 6 July 2017 and is contained in the Resolution adopted by the General Assembly on Work of the Statistical Commission pertaining to the 2030 Agenda for Sustainable Development (A/RES/71/313), To download the approved framework, visit https://unstats.un.org/sdgs/indicators/indicators-list/ and download document in the available language options. Governments will also develop their own national indicators to assist in monitoring progress made on the goals and targets. Chief statisticians from Member States are working on the identification of the targets with the aim to have 2 indicators for each target. There will be approximately 300 indicators for all the targets. Where the targets cover cross-cutting issues, however, the number of indicators may be reduced. How do the Sustainable Development Goals (SDGs) differ from the Millenium Development Goals (MDGs)? ​The 17 Sustainable Development Goals (SDGs) with 169 targets are broader in scope and go further than the MDGs by addressing the root causes of poverty and the universal need for development that works for all people. The goals cover the three dimensions of sustainable development: economic growth, social inclusion and environmental protection. Building on the success and momentum of the MDGs, the new global goals cover more ground, with ambitions to address inequalities, economic growth, decent jobs, cities and human settlements, industrialization, oceans, ecosystems, energy, climate change, sustainable consumption and production, peace and justice. The SDGs are universal and apply to all countries, whereas the MDGs were intended for action in developing countries only. A core feature of the SDGs is their strong focus on means of implementation—the mobilization of financial resources—capacity-building and technology, as well as data and institutions. The new Goals recognize that tackling climate change is essential for sustainable development and poverty eradication. SDG 13 aims to promote urgent action to combat climate change and its impacts. ​On 1 January 2016, the 17 Sustainable Development Goals (SDGs) of the 2030 Agenda for Sustainable Development — adopted by world leaders in September 2015 at an historic UN Summit — officially came into force. Over the next fifteen years, with these new Goals that universally apply to all, countries will mobilize efforts to end all forms of poverty, fight inequalities and tackle climate change, while ensuring that no one is left behind. While the SDGs are not legally binding, governments are expected to take ownership and establish national frameworks for the achievement of the 17 Goals. Countries have the primary responsibility for follow-up and review of the progress made in implementing the Goals, which will require quality, accessible and timely data collection.